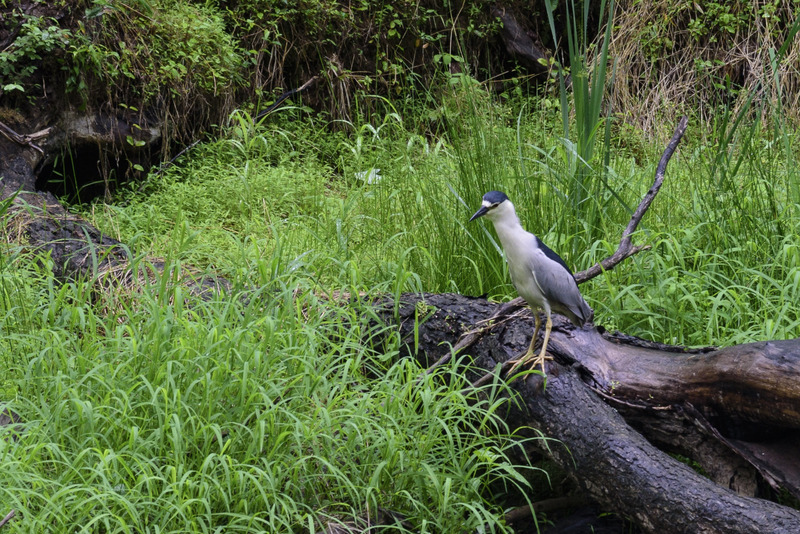 I was stalking irises with a friend over Memorial Day weekend when the weather turned gray, and a light rain fell, stranding most towpath users under trees for awhile. My friend unfurled his umbrella while I pulled out a poncho, and on we trekked. 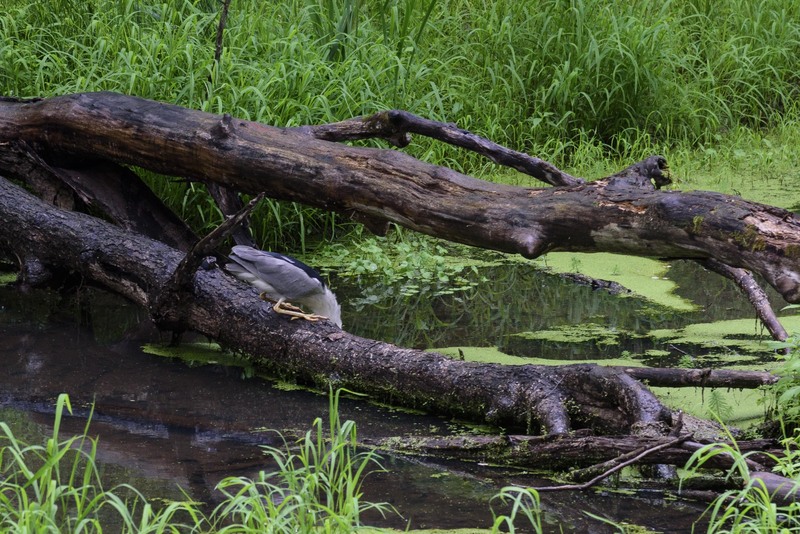 I hate being rained on, and was trying not to be grumpy about it, when my friend pointed to a log in the canal. 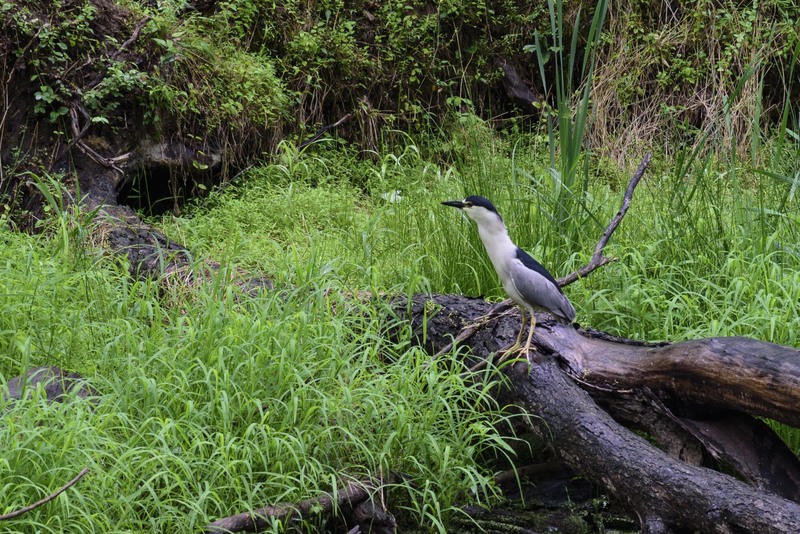 This is a black-crowned night heron (Nycticorax nycticorax), a bird that isn’t usually seen in the middle of the day, but they sometimes come out when it’s overcast and rainy. 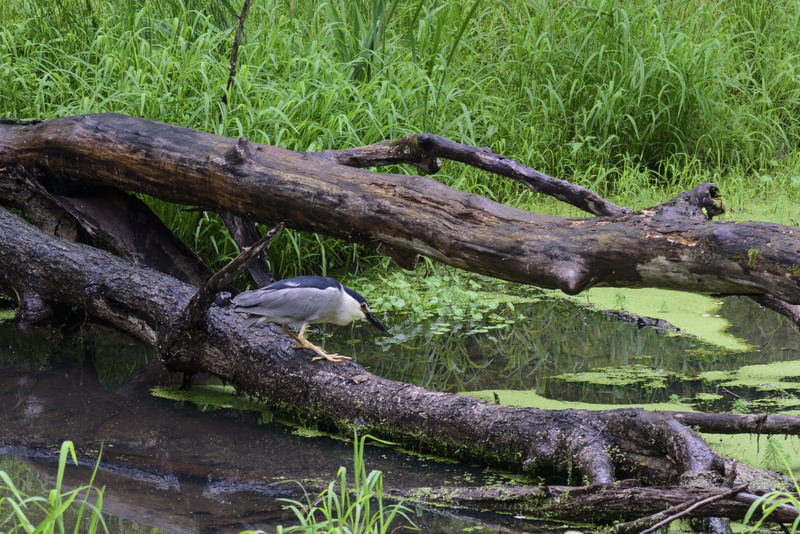 This one hung out on the log for awhile, eventually working its way down to the water. I think it was fishing. Read more about them at the excellent All About Birds site. I’ve never seen one before. 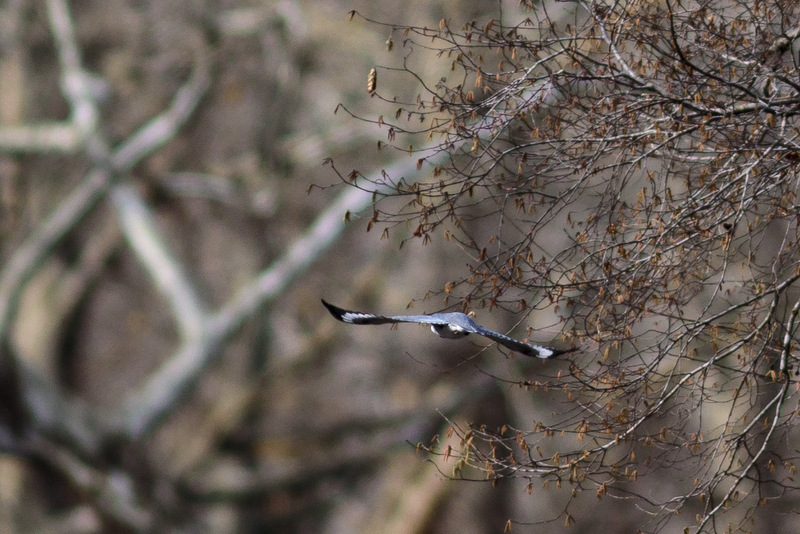 Of course I don’t have a good (long) lens for birding, but I took what pictures I could, hurriedly, before the camera got wet. 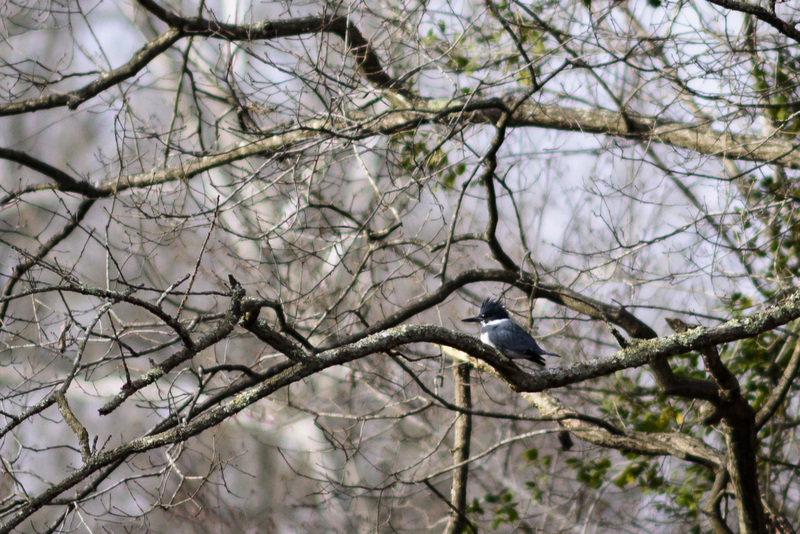 Speaking of long lenses, last January a friend loaned me one, and with it I was barely able to capture a belted kingfisher (Megaceryle alcyon) perching in a tree, then cruising along the canal. 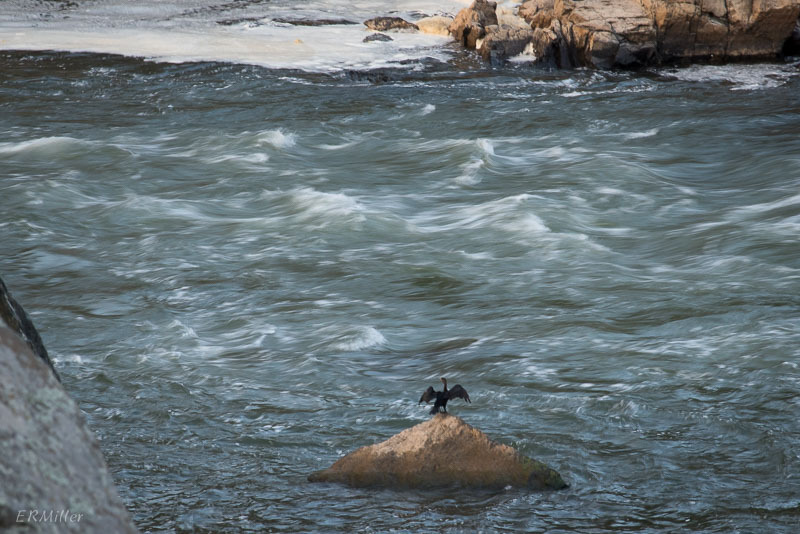 Oh and here’s a double-crested cormorant (Phalacrocorax auritus) drying its wings in the middle of the Potomac. 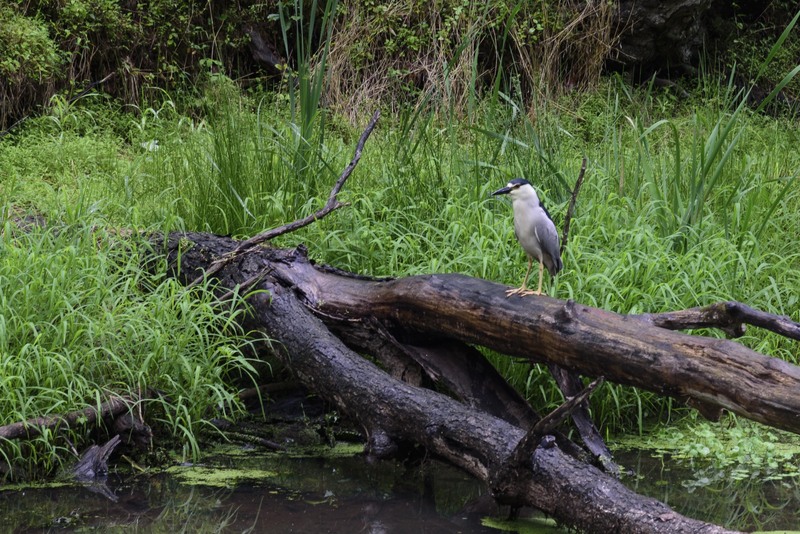 This entry was posted in Uncategorized and tagged birds, C&O Canal, cormorant, heron, kingfisher by elizabeth. Bookmark the permalink.